Today at New York Comic Con 2016, Valiant Entertainment revealed the first trailer for Ninjak vs. The Valiant Universe. Ninjak vs. 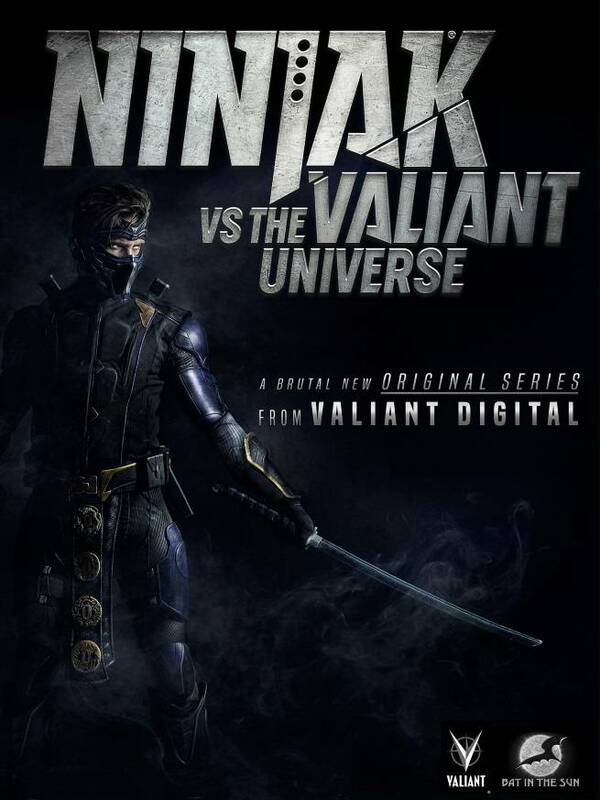 The Valiant Universe is a six-episode series that brings Ninjak to live-action for the very first time in 2017. The series will see Ninjak running a gauntlet of Valiant’s most popular and most deadly characters. Ninjak vs. The Valiant Universe is the first project from Valiant Digital, a new division of Valiant Entertainment that was also announced at New York Comic Con. Valiant Digital will produce original content in live-action, animation and emerging media aimed specifically at the digital market. Ninjak vs. The Valiant Universe is produced by Aaron & Sean Schoenke of Bat in the Sun Productions (Super Power Beat Down) and written by Aaron Schoenke, Sean Schoenke, and Joe Harris. Ninjak Vs. The Valiant Universe stars Michael Rowe (Arrow, The Flash) as Colin King, a.k.a. Ninjak; Jason David Frank (Power Rangers) as Bloodshot; John Morrison (WWE, Lucha Underground) as the Eternal Warrior; Chantelle Barry (90210, Entourage) as Roku; Kevin Porter (Dodgeball) as Armstrong; Ciera Foster (Two and a Half Men) as Livewire, and Derek Theler (Baby Daddy) as X-O Manowar.. The series will be produced by Dinesh Shamdasani, Josh Johns, and Gavin Cuneo for Valiant Entertainment. "Bat in the Sun couldn't be more excited to be teaming up with the Valiant Digital family with Ninjak Vs. The Valiant Universe,” said Bat in the Sun Productions co-founder Aaron Schoenke. “Since starting Bat in the Sun in 2001, we have continued to push boundaries of digital-exclusive content and we excitedly look forward to bringing our millions of fans a series unlike anything they have seen before." Ninjak vs. The Valiant Universe will be released in 2017.